Absolutely the highlight of the trip. The view of the glacier is awesome. Starts with the view from the port side ( left side ) of the ship. If you're in a balcony room on the right side. Go to the front of the ship. when the boat turns 180° Go to your room, that way you get the whole 1 hour view. You definitely don't want to miss this. The ship cruises Glacier Bay. You do not get off the ship. I mention this because some cruisers thought the ship docked somewhere along the way. 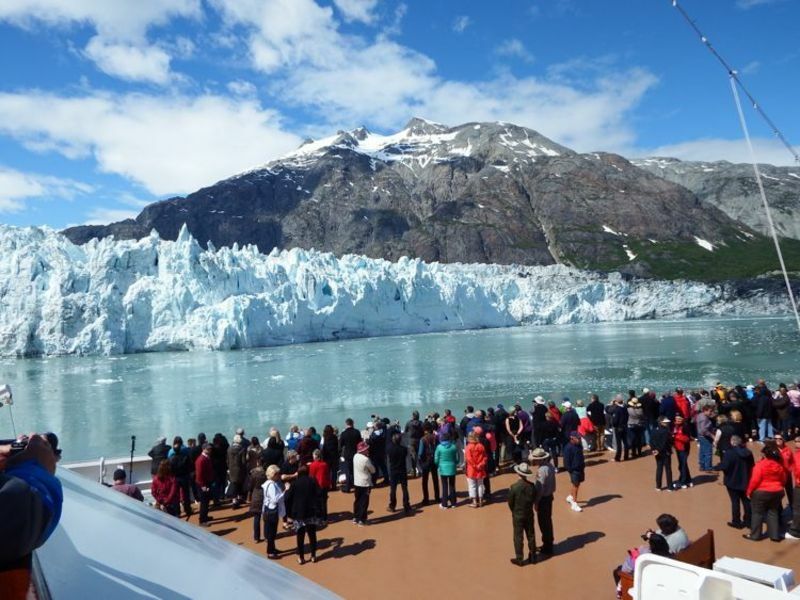 Glacier Bay is beautiful and you see numerous glaciers and ice fields. You will want to be on an open deck so make sure you take a warm jacket, hat and lightweight gloves. At the bigger glaciers the ship will stay in place but turn so each side of the ship can see the glacier. This was an amazing spot. This area is incredibly peaceful. 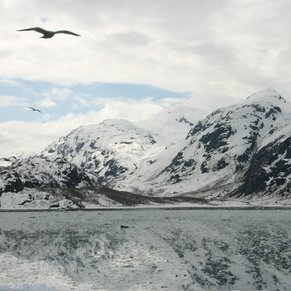 It dead ends with glaciers and wildlife on all sides. We came in and did a slow 180° so everyone could see the entire view. We'll be back! Its impossible to descibe how unbelievable this sight is and to put the cherry on top we had the most beautiful day and Mother Nature was out in all her glory. Loved every minute!!! Was too wonderful for words. Absolutely beautiful. The colors were beyond description. Loved the commentary by the naturalist onboard the ship. Very informative. The captain did a great job of getting everyone on the ship a great view of the glacier. 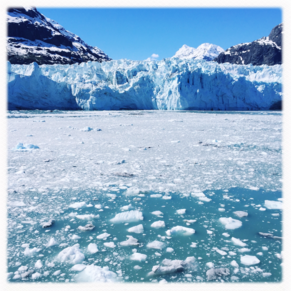 We were able to see large portions of the glacier falling into the ocean. 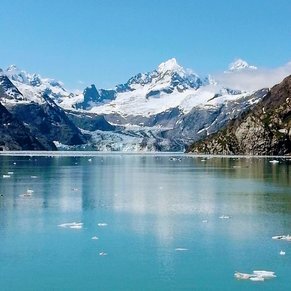 There are currently 0 discussions about Cruise Glacier Bay.